Knowing that I was about to spend almost two winter weeks in the colder climates of Japan (comparatively speaking – but it did snow one night in Kyoto!) 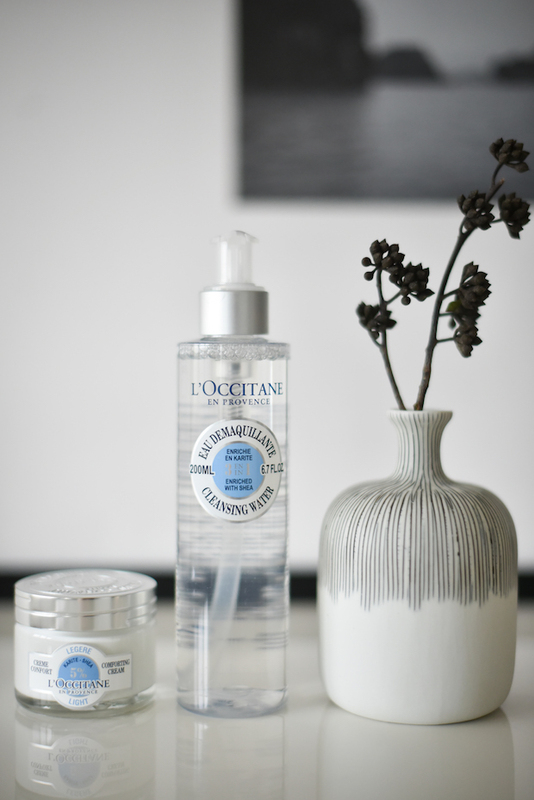 I brought along my most hydrating skincare from L’Occitane. I never board an airplane without my Shea Butter Hand Creme (and yes – I make sure Lucia and my husband use it too! ), but I also brought along products from the rest of the nourishing Shea Butter line: Shea Butter Ultra Rich Comforting Cream (formulated with 25% shea butter), Shea Butter Light Comforting Cream (formulated with 5% shea butter) and their newest Shea 3-in-1 Cleansing Water. It’s sometimes easy to forget that I don’t have the oily skin of my 20s any more. As I’ve aged, my skin has gotten drier and it desperately seeks moisture, especially in colder weather. I also used to never understand the need for different products for different days based on how my skin looks and feels – my skin used to feel the same year round (or perhaps I never paid enough attention?). 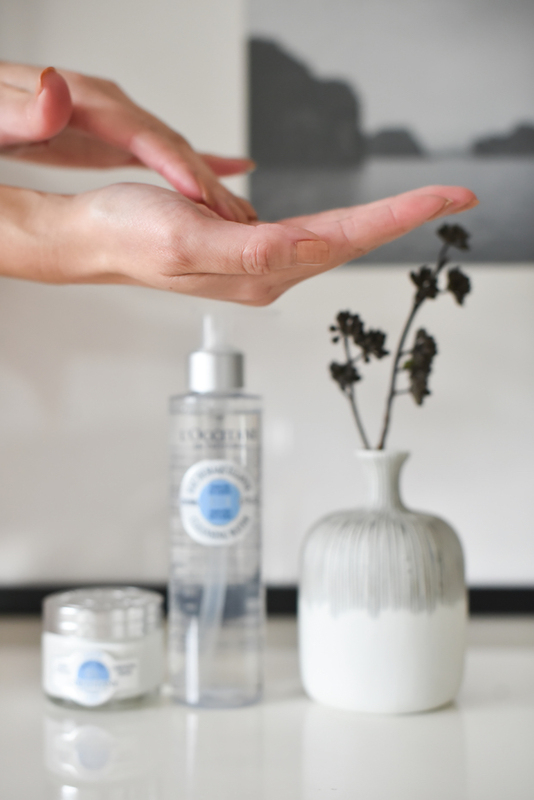 The Shea 3-in-1 Cleansing Water takes the place of both my makeup remover and toner (another product that I used to use year-round and now find that it strips me of the moisture my skin has in the morning – not good!). This product, though, is ultra-gentle and hydrates while it cleans and softens. I then layer on the Shea Butter Light Comforting Cream or the Shea Butter Ultra Rich Comforting Cream, depending how dry my skin feels that day). It’s the perfect boost of rich moisture I need right now. Love this elegant and bright look! I definitely need some extra hydration too! Love that their products have Shea Butter! Love this outfit! I love this outfit, I have been looks for some extra hydrating products and these look lovely! I can’t live without shea butter. My absolute favourite moisturiser. I love their products and shea butter is a forever favourite and classic! Like you my skin has gotten very dry over the last few years. I’ll be definitely checking this one out! These products sound amazing! My skin has always been normal/combination in my earlier teenage years, but now that I’m reaching my mid-twenties, I do notice the dryness 🙁 Will definitely be giving this line a try 🙂 <3 Thank you so much for the recommendation, Anh! And loving your outfit so much! That cardigan is amazing! I love this look too. I never look twice at the fuzzy sweaters because they seem so slouchy, which doesn’t suit my needs, but worn with this kind of a tailored outfit, it looks elegant and chic. Such beautiful taste! 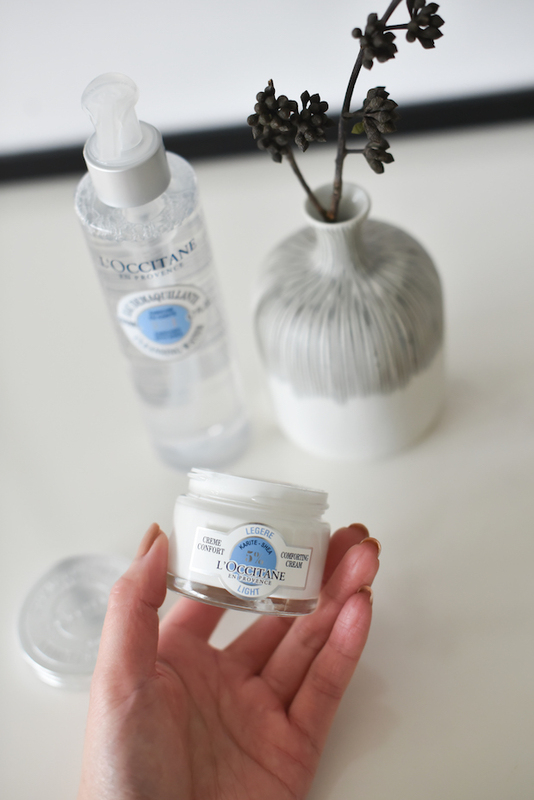 I love L’occitane! I actually made post yesterday with one of their items for a body skincare routine yesterday hehe I absolutely love the scents and their elegant packaging! On another note, I absolutely love your style! So elegant as well! The cashmere cardigan is beautiful! i love shea butter.Also you look gorgeous!